Indeed for about a month now we have followed closely Mr. Appiah Dankwah, popularly known as Appietus “In Da Mix” on the subject of producing one hundred (100) songs for new and upcoming artist across the nation, recording ten (10) in each region via a selection process through the regional branches of Musiga. During his month long campaign it was his conviction that this project will bring a new hope and purpose to many newly unearthed talents across the nation. Some also lamented that this project is too ambitious and may not be necessarily achievable. The date and stage was set for the 12thof May, 2018 for the maiden edition to be launched first in the Volta Region at the plush Freedom Hotel. Our correspondence travelled with Appietus and his team from Accra, arriving early enough to take interviews on Tosh Radio prior to the starting of the main event. First of all I was impressed with the selection of people that the event drew to the venue by all standards. Looking at the number of attendees from all the 36 districts across the Volta region, I automatically concluded that Appietus and his team ‘BlackStar SR Entertainment, the regional Chairman of Musiga Anthony Dagbe and StandOut Gh had put in a lot of work to be able to achieve an attendance of over 150 budding musicians from all walks of life including all the regional executives as well as radio presenters, disk jockeys, fashion designers, makeup artist, Artist managers, Instrumentalist, traditional music producers and many more. The programmes started at 2.00pm with host, guest and executives seated. An opening prayer was said and then the dignitaries were introduced by the M.C. with a short musical interlude before the opening speech by the Musiga Regional Chairman Mr. Anthony Dagbe. 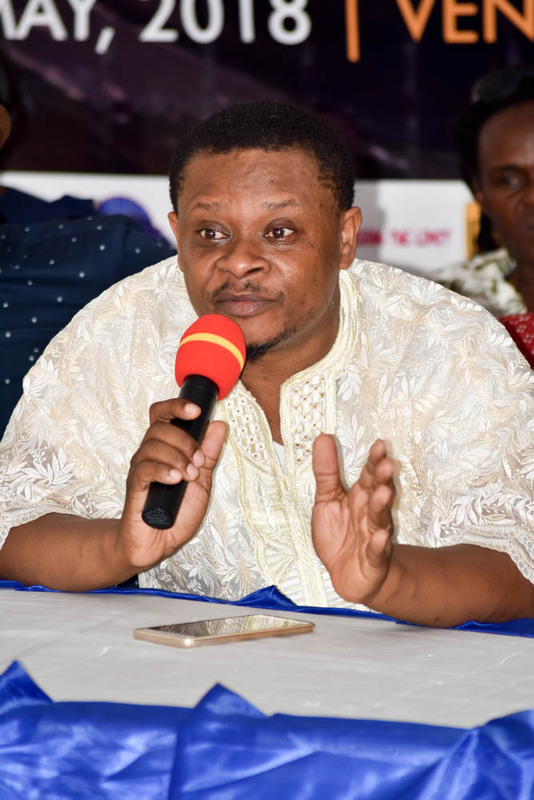 He communicate the purpose and objective of the ‘Volta Music Project’, its opportunities to the Volta Music Industry and how registered musicians within Volta region will benefit from and take full advantage of the ‘Appietus National Music Project’ to launch their carrier in the music industry. He went on to emphasise the importance and significance of his efforts of pushing for the #VMP to be launched first in the Volta region, in an attempt to bring maximum attention and hope to the youth within the region who dream of making a carrier within the entertainment industry. 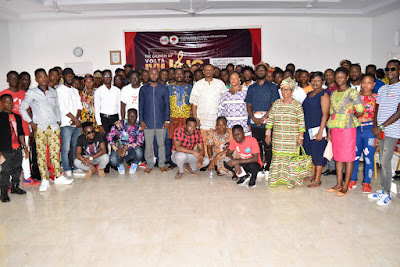 He stressed on the importance of musicians from the Volta region, regardless of their location of operation must endeavour to register with their regional branches pay their dues to their regional branches in order to strengthen the financial standing of the regional offices to enable them to support registered musicians in good standing whenever the need arises. “Good day distinguished ladies and gentleman, thank you for gracing this occasion, I also want to thank, Anthony Dagbe the Musiga Regional Chairman, Standout Entertainment, Touch FM, Freedom Hotel and BlackStar SR Ent for their spectacular reception and all the media houses who have helped to make this occasion happen. I'll try to keep it simple and straight forward, since I started my career as a music producer and a sound engineer, I've recorded and produced countless artistes who back then had just started their own career; most of these artistes became very huge from the hits they got from recording in my studios and are still getting. I'm sure most of you know some of these artistes and their hit songs, the likes of Prayer, Wutah, Kwabena Kwabena, etc. etc. I've decided this year to spread my wings to all the other regions of Ghana with the help of the regional Musiga offices to pick 10 artistes from each region and record them for free, since I'm doing this with Musiga you need to be a member of Musiga before you can qualifier to be part of this project. If you are already a member in good standing with Musiga all you have to do is pick a form and add your demos to be reviewed by the Regional Musiga board across all the ten regions. I'm working with all my contacts in the city and abroad to push the artistes who will be on this project to the world, I'll also work to put them on international world music festivals to open new opportunities for them internationally. The event was a total success with attendees expressing maxim enthusiasm about the project by asking important questions about participation, expectations and concerns regarding the project. Every one received an application form for free with a Musiga registration form. The C.EO of StandOut Gh ‘Mr. Bright Ellis’ explained the registration guidelines and the rules of making an application to access the project. 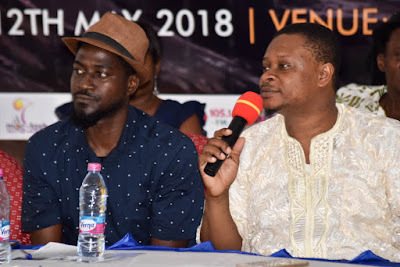 Other speakers on the panel was Mr.Stephen Creppy the C.E.O of BlackStar SR Entertainment giving contribution and advice on the change in mind-set and limitations some musicians put on themselves due to language or genre of music. He further went on to explain that in fact authentic traditional music is likely more exportable than the usual African fused rhythm and blues popularly called Afropop. Enjoy some of the pictorial moments at the event and watch some of the highlights on the attached footages .For more information and new updates on the project follow Appietus on these social media pages Facebook: appietusappiahdankwah Instagram: appietusmix and Twitter: appietusindamix.